HR Avatar provides everything you need to create Job Simulation assessments which allow applicants to role-play simulated work scenarios and job-related tasks. The key to creating effective job simulations is writing engaging scenarios that branch down various paths based on the applicant’s choices. Unfortunately, designing branching scenarios can be an unwieldy task for your development team. 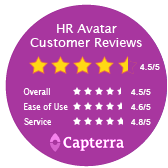 HR Avatar can help you avoid costly false-starts with experienced creative direction, employment assessment expertise, a proven authoring process, and specialized technology so you save time and money. HR Avatar specializes in producing workplace simulations using 2D-character animation. We can completely customize the look and style of the scenarios to match your needs, or for a more economical approach, you can choose characters from our art-library. We use specialized simulation development and assessment technology ™ to author, administer, report and manage Job Simulation assessments that work on almost any smart device. The robust tool set provides us the power, flexibility and control to rapidly create, deliver, and manage simulation-based scenarios, a wide-variety of assessment item-types, administration on almost any smart device, and easy maintenance. For more information about our testing technology, please review our Technology Platform Overview.